Nazi war criminal Adolf Eichmann was executed on June 1st 1962 in a prison in central Israel. Holocaust survivor Michael Goldmann-Gilead witnessed his execution. 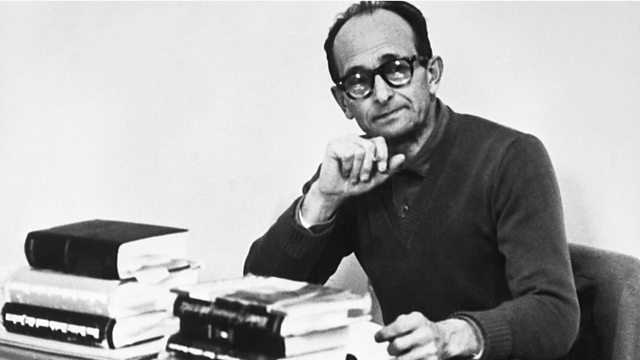 Nazi war criminal Adolf Eichmann was executed just after midnight on June 1st 1962 in a prison in central Israel. Holocaust survivor Michael Goldmann-Gilead witnessed his execution and was one of two people tasked afterwards with scattering Eichmann's ashes at sea. He had been part of the police investigation collecting evidence against Eichmann before his trial, and had lost his parents and sister in the Holocaust. He has been telling Louise Hidalgo his story.